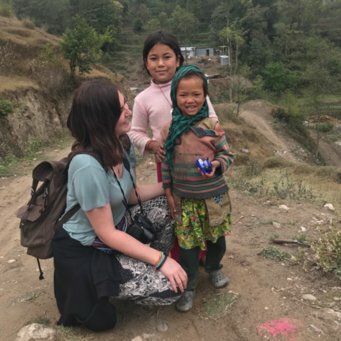 Since before I went to nursing school, it has been my dream to travel the world to give medical aid to others. In the US, as in other 'developed' nations, we are sheltered from a lot of the diseases which are prevalent elsewhere in the world. As a healthcare provider, I believe it is my duty to gain knowledge and experience that will benefit the patients I serve, and not just those patients close to home. What better way to achieve this goal than to throw myself into an environment where I can learn first hand how to care for a different population? This desire is what led me to Work the World and to Takoradi. 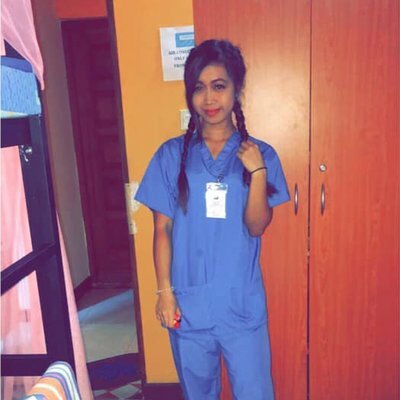 As a professional nurse, I was not obligated to do a placement for my studies but chose to do so out of curiosity and to enhance my professional experience. Work the World has exceeded my expectations in helping me to achieve that goal. I had been practicing emergency nursing for more than a year before doing my hospital placement in Ghana. When I was a student nurse, I did not have an opportunity to study abroad, but I believe I got just as much out of the experience, if not more, being a professional nurse. Though I had seen many things in the regional hospital and trauma centre where I work in the US, I still could not have imagined what I would encounter during my stay in Takoradi. During my first week of placement, I saw many cases that would not be typical in the US. There were many adults and children who came to the accident and emergency ward with malaria. I got to observe first hand the signs and symptoms of this disease as well as how it is managed in a low resource setting. I also saw cases of Typhoid fever, advanced stages of disease such as cancers and liver failure, and many accident victims. One of the accident victims suffered from severe head trauma, and his death is one memory, which I will never forget. However, I will also never forget the heroic efforts of the staff that worked so hard to save him with the limited resources available to them. The things I saw in the accident and emergency ward both shocked and inspired me. Coming from an area where medicine is so advanced, we take a lot of things for granted such as having necessary equipment i.e. defibrillators and oxygen. Also, allowing for patient privacy in a room of six or more patients presents a challenge. I learned a lot from the hospital staff in Takoradi including the importance of teamwork, delegation, and allocation of resources. It was impressive to see how the staff works together during an emergency and work with limited access to supplies. Advice that I would give to future students or professional nurses considering a placement in Ghana is to not be afraid to take the initiative. The staff at the hospital are very knowledgeable and though their practices are much different from that of other countries, a lot can be taken from them as long as you keep an open mind. Asking questions and offering a hand will assist you in getting the most out of your experience. I would highly recommend Work the World for an overseas placement. Having never been to Africa previously, I felt well informed by the Work the World staff as far as what to expect and what was expected of me prior to arrival. Shortly after arriving at the airport in Accra, I received a warm welcome from the WTW Ghana team, who took exceptional care of the students at the Work the World house. I've made many friends in the short amount of time I was able to spend in Ghana, and I was both overwhelmed and humbled by the friendliness and kindness of the local people. 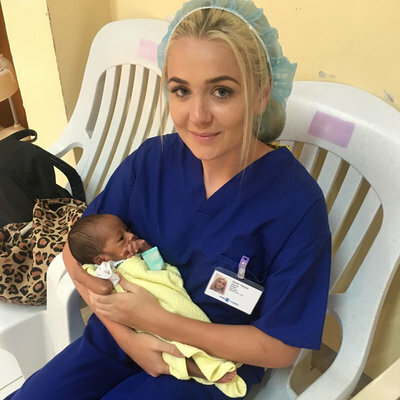 Choosing to do a nursing placement in Ghana was one of the best decisions I've made in my life. To anyone considering to do a placement in Ghana, you will have the experience of a lifetime.